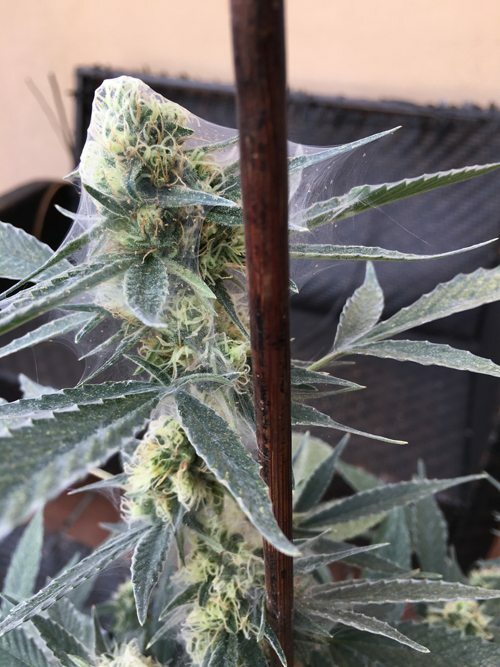 Spider Mites are one of the worst problematic cannabis pests to deal with, because an infestation will destroy your crop (see spider mite webbing below.) Don’t worry, infestations and webs don’t occur overnight, so as long as you apply preventatives regularly, you will avoid these awful pests. 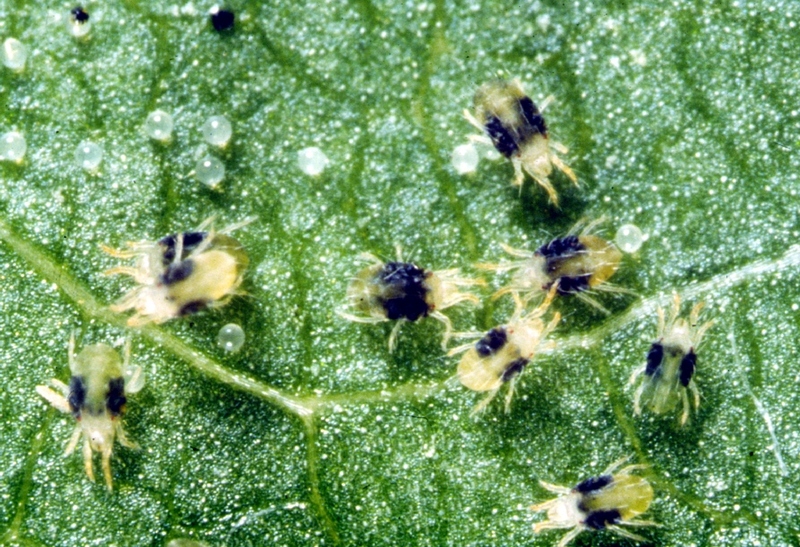 If you see just a few spider mites, don’t ignore your problem. 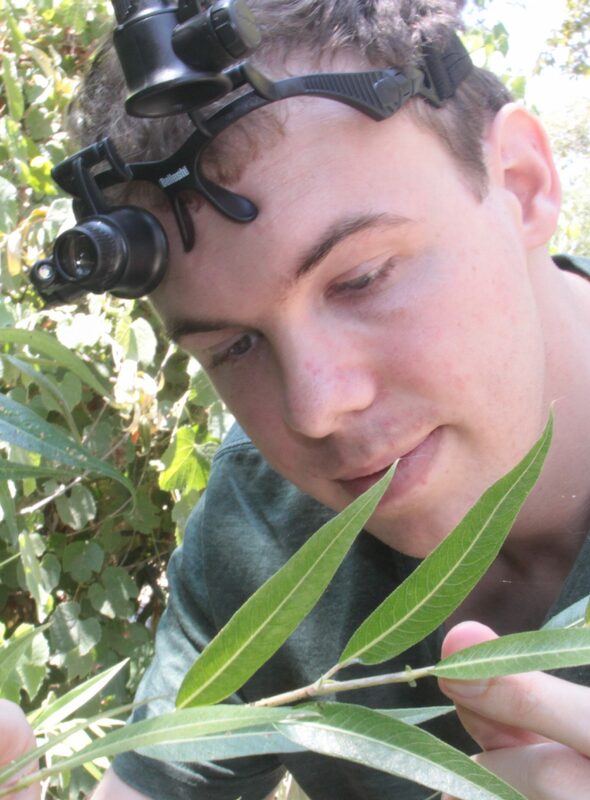 Always look under the leaves with a jewelers scope to inspect for spider mites and spider mite eggs. Depending on your eyesight, you may see them crawling without a scope, but most people need the magnification to see clearly. There are many varieties of spider mites and they are known for building resistances to pest products, so it’s important to alternate products like Bug Buster O and Green Cleaner. 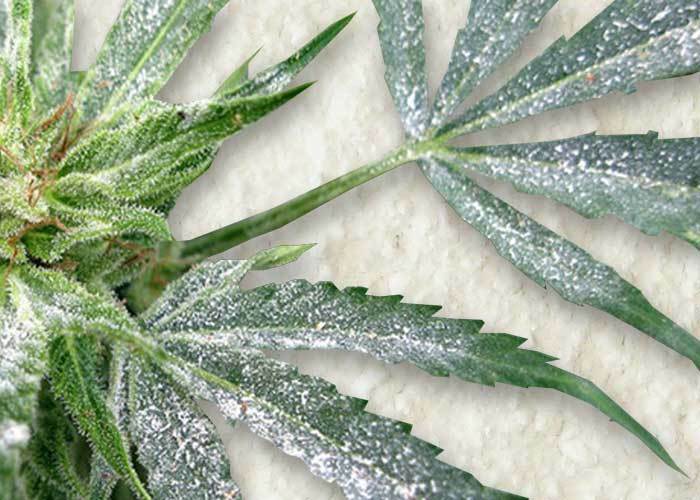 Powdery Mildew (PM) is a very common home grow challenge whether you grow cannabis indoors or outdoors. This PM fungus shows up first on lower leafs. You’ll be able to see a white film coating on the leaf. Remove those leafs as soon as possible and treat your plants with Green Cleaner. Fungus Gnats (gnats) are a very common home grow challenge. 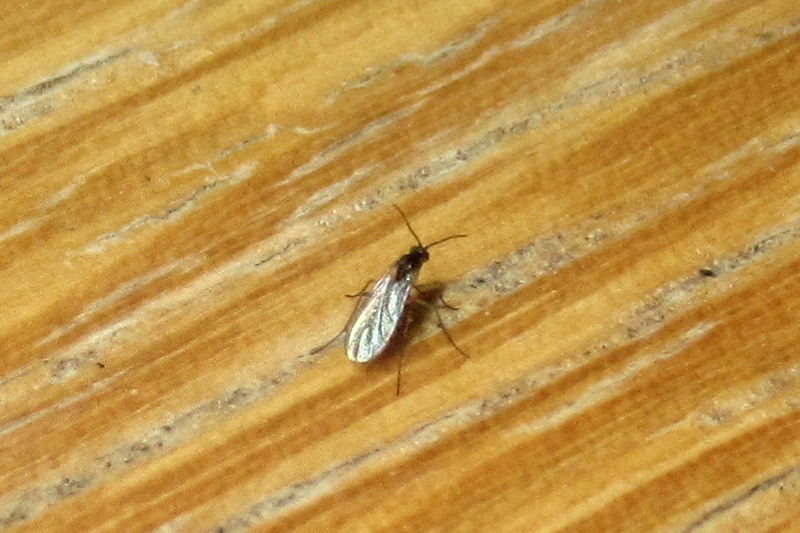 Fungus gnats are a nuisance and thrive in wet, moist conditions. If growing in soil or cocoa, dry out your medium completely as you alternate applications of Mosquito Bits (ingredient: BTI), as well as Captain Jack’s Deadbug Garden Dust (ingredient: spinosad) and Bug Buster O (ingredient: pyrethrin). IPM stands for Integrated Pest Management. Green Carpet Growing helps home growers prevent and deal with frustrating plant pests and diseases with pest management products and application coaching. Dealing with pests in cannabis is frustrating and expensive, but you don’t have to do it alone! If you need your cannabis crop assessed for bugs, pests, fungus or viruses, the first step is scheduling an assessment. At an assessment, you will receive a thorough evaluation and consultation. We will educate you about our findings so that you will know what pests you are dealing with. We will then share IPM recommendations with you pertaining to a customized treatment plan that is safe and practical.